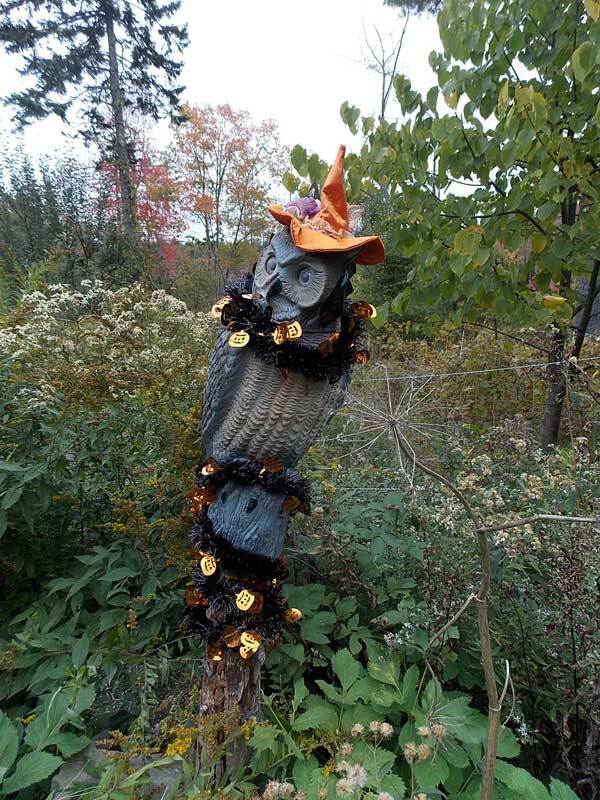 The Social Capital Owl is dressed for All Hallow’s Eve a little early this year. It’s a nice change from the yellow polka-dot dress and sporty sunglasses it had been wearing since May, so I don’t think anyone is complaining! This entry was posted in Holiday, the backyard, the neighborhood and tagged autumn, neighbors, social capital owl on September 27, 2013 by APo.